I’ve not been a very active blogger this month. With a myriad things that came my way plus being in the midst of preparing for a life presentation for my grandmother who turned 100 years old yesterday, my hands were just too full for posting reviews. But here’s one for a book I just couldn’t resist plucking off the store’s shelf. 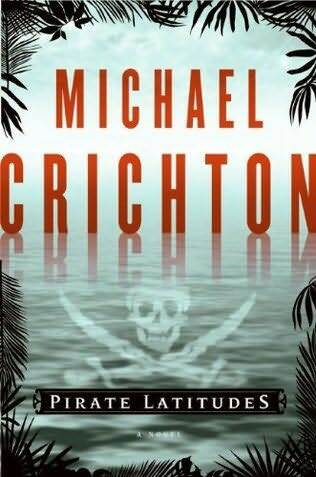 I’m a fan of Michael Crichton for his story-telling versatility. As an author who never seemed to have written about the same thing in his entire career, his fiction would careen from corporate politics to dinosaurs, from global warming to aircraft investigations. After his death, I sadly thought I had read the last of his stories. But surprise, surprise! Someone discovered a full manuscript in his hard drive ; hence this new book. Of course, I just had to have it…. It’s the mid-seventeenth century, a time of profitable privateering in which a man could make his fortune if he were daring enough to do so. At the English colony of Port Royal in Jamaica, Captain Jack Hunter sets his sights on the impregnable Spanish dominated island of Matanceros where a galleon sits at anchor, heavily laden with treasure. Never mind if the island is infamous for its unconquerable reputation with a fearsome protector, Callas, its terrifying canons and 300 men at arms. Assembling a crew with special skills, Hunter attempts to take the island and its treasure by the very route which has remained impassable to all. Up unassailable walls, through fetid jungles, and in terror-filled waters, these pirates fight to steal treasure and glory, enough to satisfy all who love excitement in tall tales. This latest written creation, discovered among the late author’s memoirs, is a jolly romp in the high seas for those who get a kick out of shallow entertainment. The plot is complete with everything a tall tale of a pirate story should have : treasure, kraken, damsel in distress, and risks Indiana Jones would have envied. If you’re looking for realism, this wouldn’t be up your alley. Plus, don’t expect any depth or multi-facets in any of the characters either. There aren’t any. The story reads like it were Crichton’s first attempt at novel-writing — amateurish, bumbling. I guess there must have been a good reason why this book remained in the author’s hard drive. I don’t think he meant to publish it yet or it wasn’t ready for publishing. Perhaps, this book is still in its drafting stage because although it has a compete enough outline for a story, it just didn’t feel finished. It definitely isn’t up to the standards of a Crichton novel, given that his plots are always so much better thought out than this. In other words, this book is a big COULD HAVE BEEN , and it’s sad that this is all it can remain to be — a potential. 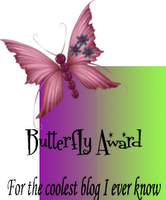 But a thought just occurred — the book may not be too bad as a YA novel. Its very shallowness and swashbuckling appeal would just be grade-A with action-inclined youngsters. In hindsight, it’s quite good if I had approached it with that genre in mind. But, I was expecting the same style for the usual Crichton target readers. Despite what I’ve said though, I admit Pirate Latitudes was still rather mildly entertaining and a breezy read. 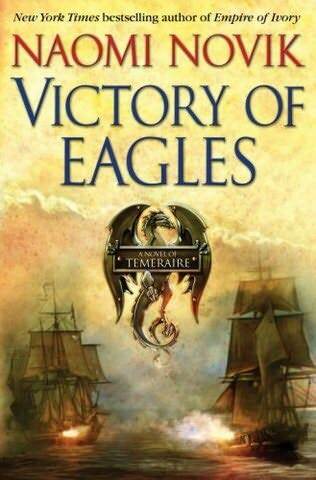 I just wish the author were still around to refine it to a marvelous adventure-thriller. This may be great with teeners. Read if you must; you might enjoy it for the moment. Just don’t purchase a hardbound. The small print and the number of pages in this novel promises ample time in your reading chair. So be sure to have lots of time to kill to thoroughly enjoy this one. Susanna Clarke writes of an alternate England, a place rich in history of magic and folklore. It is the beginning of the 19th century in England, a time when magic has been relegated to pages of esoteric books, studied by only certain gentlemen with a passion for magical theory. It has been centuries since magicians had wielded any real power or communed with fairy folk so that magic in England has been presumed lost forever or simply non-existent. At the height of the Napoleonic war, Mr. Norrell, a reclusive pedantic magician, one of the only practical or practicing magicians in England, suddenly comes out of his solitary society with the goal of restoring magic in England, in his own terms. So he applies to help the government combat Napoleon Buonaparte. His magical talents immediately catapult him to celebrity status. 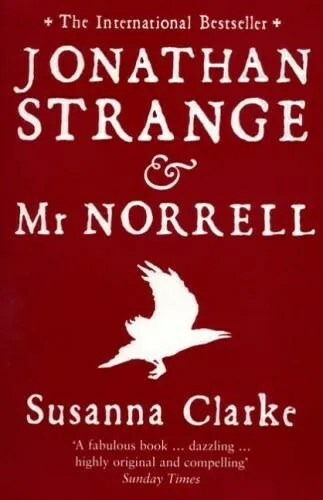 Soon however, a younger and more adventurous magician, sort of a more freewheeling one in the person of Jonathan Strange, emerges to aid Mr. Norrell in the war. Owing to the Mr. Norrell’s age and scholarship (he owns almost all the books of magic that can be had), Strange becomes his pupil. Together, they become England’s most celebrated and only recognized magicians. Their contradictory personalities and philosophies, however, guarantee a building scenario toward a clash which inevitably brings about Strange’s estrangement from his former mentor. This division between England’s two foremost magicians lead to a cataclysmic strife in fulfillment of a prophecy for both England and the world of the fairy. This book, a gift from my aunt, had been sitting in my shelf for more than a year now. Its simple cover and ordinary title just didn’t cry out to be read so that the book was often bypassed in favor of those with more interesting colors and come-ons. Little did I know…these nondescript book covers hold pages of a marvelous literary gem that outshines many in my library. This book is a rare delight, a captivating original for which I can find no equal. The New York Post says of this work : “…think Harry Potter sprinkled with the dust of Tolkien and Alasdair Gray…” I disagree. It is a far cry from J.K. Rowling’s and Tolkien’s work. This book stands on its own merits and can perhaps have that exceptional position of having no other work in its genre that can be compared to it. The book is a blend of history and fantasy, the most part being that of fantasy. However, the reader is never sure where fiction ends and fact begins (are there even any facts?) when the author starts footnoting a word, a title, or a group of sentences. The footnotes, fictitious or otherwise, often refer to dated publications. There are way over a hundred of these footnotes which pepper the entire book. The footnotes themselves are interesting pieces of asides, ranging as short as as a one-liner to as long as a little story in itself, spanning two pages. Susanna Clarke used meticulous footnoting as a brilliant strategy to lend her book a conviction of credibility. The language of writing is reminiscent of those of the nineteenth century. Take a peek into a Jane Austen novel and you’ll know what I mean. The style is formal and elegant yet wonderfully precise so that it showcases the author’s sharp dry wit and her command of vivid description. One can be enraptured by this old-fashioned intelligent writing style. As one so enamored, I felt like I were in a feather cloud of words with all these pretty phrases falling delicately about me. Susanna Clarke writes very consistently in this manner and even uses archaic spelling in keeping with her language. For example, she uses “chuse” for choose, “shew” for show, “scissars” for scissors. This is Susanna Clarke’s debut novel and it speaks for the author’s superb writing talent. Her deadpan humor can fairly surprise a chuckle from you while her orchestrated sudden mood turns can illicit that gasp of incredulity. At times, the narrative may sound indifferent and haughty and then dark and sinister in an instant. How Clarke plays with her words is a marvel to witness; and with this, she draws her characters and events so well as to leave one wanting more despite the book’s thousand pages. All this is not to say, however, that this book is for everyone. The writing language may not appeal to many, the thousand or so pages may prove to be daunting, and the footnoting may leave a tedious aftertaste with some readers. 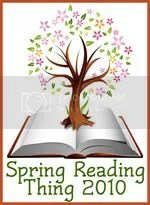 To enjoy it, one must not mind reading a very long fantastical story written in old-fashioned English. Rather, the reader must savor its literary style and allow himself to be transported into its world to really appreciate this book. For those who don’t mind these caveats, the joy of immersing in a work of quality and originality will be reward enough. Jonathan Strange and Mr. Norrell deserves the heaps of glowing reviews, and its Hugo and World Fantasy awards. It is a phenomenal masterpiece which seamlessly embodies social comedy, fantasy, history, Gothic horror, and a teeny tiny sprinkling of poignant romance. A wonderful, wonderful book best enjoyed when savored, this novel of high fantasy has surely earned an honored place in my shelf. At long last, I’ve managed to finish the book I’ve been toting around during my vacation. As a wonderful sequel to The Other Boleyn Girl, it centers on three particular women in King Henry VIII’s life after Anne Boleyn. Anne of Cleves. As the fourth wife of King Henry, she is credited with being very close to his children. 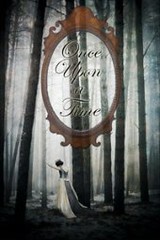 As a young girl, Anne yearns to be free of a tyrannical brother and a cold-hearted mother. She views the proposed marriage arrangement to Henry of England as an opportune offer of escape from home. However, an unfortunate incident where Anne angrily rejects a kiss from a disguised King Henry, before all her entourage and his retinue, earns her a growing grudge from Henry which ultimately leads to false accusations of a precontracted marriage and to a consequent annulment and dethronement. Katherine Howard. As a very young lady-in-waiting to Queen Anne, Katherine catches the eye of King Henry . Very soon, she is Henry’s 5th wife and England’s next queen, a teen-aged girl married to an old man. As fate would have it, she falls in love with a courtier, Thomas Culpepper. This affair and her childish dalliances with Francis Dereham prior to court life become her undoing. Jane Rochford Boleyn. She was wife to George Boleyn and sister-in-law to Anne Boleyn. A liar and betrayer, it was her testimony which sent her husband and his sister to their deaths in exchange for lands and a title. She comes back to court life upon the order of her uncle-in-law, the Duke of Norfolk, to serve and advise both queens, Anne of Cleves and Katherine, and to serve as his eyes and ears. She is party to his schemes and encourages Katherine Howard’s affair with Culpepper to get her pregnant. The hoped-for child would then be passed off as Henry’s progeny and therefore, secure the Howard family’s power and favor with the King. Her involvement in Norfolk’s political schemes would prove to be her downfall. After Anne Boleyn’s execution, King Henry grows increasingly manic and dangerously suspicious of everyone. All three women enter a court life under a miasma of suspicion, fear, and uncertainty. This is the Boleyn inheritance – a court and a country ruled by a despot whose every whim becomes law. Gregory’s technique of the first person narrative allows readers to get inside the heads of these three factual women, creating a very intimate understanding of who they probably were. Her strength in character writing humanizes these otherwise one-dimensional historical personages so that we get to know what made them tick. I cannot say that the author stuck to all the historical facts. However, the important ones are true to form. As with most creative historical novels, some details have perhaps been modified to suit the fiction. For those who haven’t read her, expect a light writing style that makes her novels highly readable. It is precisely this forte that takes away the tedium of history and renders it very interesting and quite engaging . This is an author you must try. 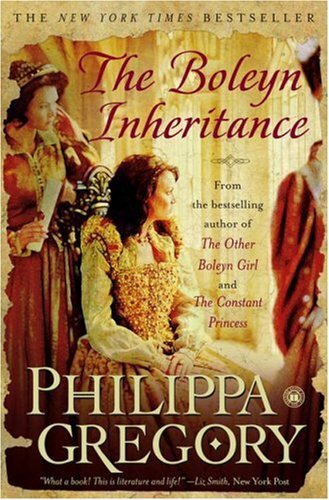 Another marvelous read from the queen of Tudor fiction, Philippa Gregory.